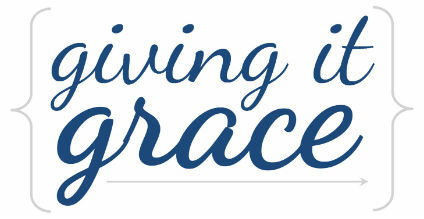 Giving it Grace: Parades, picnics and more! The last month has been very busy, just like the month before it, and the month before that...and the one before that...here's a little bit of what we've been up to through the eyes of my iPhone camera! Every great parade has a great big firetruck! Was followed by Ronald McDonald on a sagway. My friends at Cascade Elite! kids get candy at the Tour De Terrace Parade! Won me this little guy! His name is Ken Sherman. Leaving the fair - happy times! So many good deals on produce, flowers, and other items. We ended up getting peaches to enjoy at home. The food was a little overpriced...but good! Best Friend Chelsea's Wedding! This was my first time being a maid-of-honor, and it was SO much fun! Night before the wedding sleepover snacks...perfect! Sister Lizzy returning from a much needed coffee run! My best friend is married!! Relaxing with baby Addie at the company picnic. Street - very lovely way to end a really long weekend! Giving it grace: You'd think I would have picked up on the theme of busyness this summer, and at some point just submitted to what was obvious: we have a lot going on! Instead, I keep longing for quiet morning reading a book, or early evenings in watching romantic comedies. When that doesn't happen, I get increasingly frustrated and tired. God is teaching me a lot about perspective this summer. I'm sure parents of multiple kids look at the pace of Kyle and I's summer and would give anything to trade us for even a day. Or, I'm guessing a young couple who just moved here with no friends and family would be happy to attend multiple birthday parties in one weekend if it meant getting spend time with loved ones. In short, I'm a total whiner. A big selfish baby. And I'm thankful God is showing me that. That in the face of me being a brat about "my time", God is being gracious and teaching me all we have to be thankful for. God is showing me that all of the "stuff" taking up my time is the blessings of family and friends in our life: birthdays, weddings, baby showers, golf tournaments, picnics, parades - all little glimpses we get into all that He has in store for us in heaven. And what's even more astounding, is that those blessings are not just for Christians. The Christian and the non-Christian can both sit and enjoy the same beautiful day at the local Farmer's market, because God doesn't reserve His blessings just for those who know him as Lord - He gives many, many, many blessings to all those that walk the earth...and every ounce of blessing is backed up with a mile of His grace. I'm grateful that even in the midst of being seemingly ungrateful, God is patient with me and loyal to teach me more about the nature of His blessings and how they don't change just because I'm not being grateful in recognizing them.